Sometimes you just need a break from all the wedding pictures, vacation photos, and boomerangs of clinking glasses. If you’re like me, you find escape by turning to the calm and serenity of paint mixing and sand cutting videos. When I find a post I like, I save it to come back to later. Simple enough concept, right? Yet, many people are unsure how to do so. All three of these methods have benefits and setbacks. Depending on what you’re saving the photo for, a certain method may work better for you than others. In the world of Instagram, saving photos can be done using the collections feature. This is a simple tool the app provides that few use to its full potential. Whether it’s paint mixing videos, recipe photos, workout routines, or a trendy #ootd (outfit of the day), Instagram’s save feature is a great way to keep any post for later reference. Instagram launched the save function at the end of 2016, as it was ramping up its service with a variety of new features. In 2017, it allowed users to create collections of these saved photos. 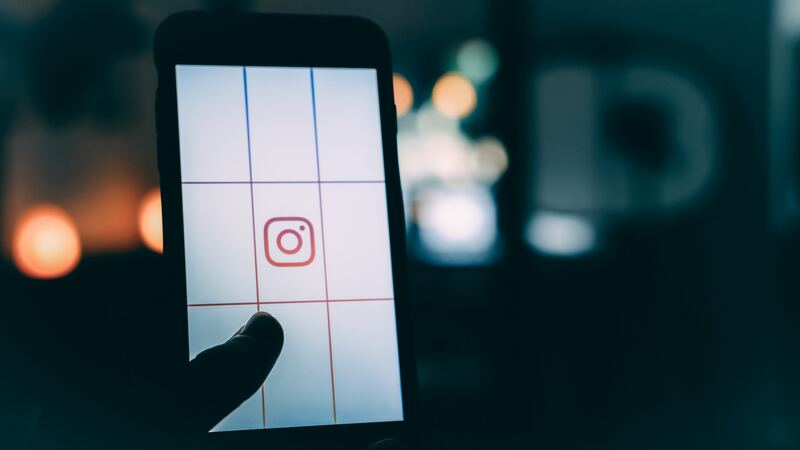 If you’re running an Instagram account for a business, saving photos into collections is an effective tool for keeping track of a variety of posts that involve your company or its competitors. Incorporating this into your company’s marketing strategies can be a huge help. Let’s walk through this simple process together. Say that I was sponsoring this year’s Dreamforce conference as part of my event marketing strategy. While there, I search the hashtag #Dreamforce2018, to see what’s happening at the B2B marketing conference. 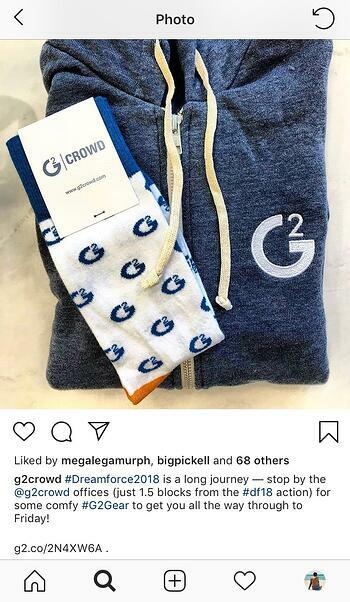 I then see this post from G2 Crowd about the special swag it’s giving away at the event. The post catches my eye, and I want to be able to check it out again later. However, at a conference with over 170,000 attendees, there are so many photos being posted with the hashtag. I’m not sure I’ll be able to find it again. Saving the post is the best option in this scenario. To do so, I simply tap the bookmark icon on the bottom right of the image. If you’re worried about that user being told that you saved the post, saving a post will not send any notifications. So tap away! Imagine it’s now a few hours later, and you want to find that saved post so you can go visit G2 Crowd and collect your gear. To find the post, go to your profile and tap the three horizontal lines in the top corner. This will slide over a list of further options. Tap the same bookmark icon from earlier labeled, “Saved,” to see all of the posts you have saved. At this screen, you will notice that only you can see any photos you’ve saved. 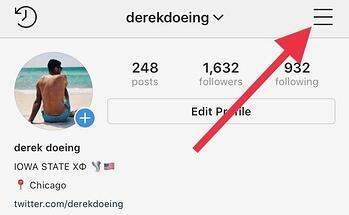 You now have the basics of how to save an Instagram post at your disposal! Now that you’ve learned how to save an Instagram post, let’s take it one step further. This is where you have the option to create a collection by tapping, “Create Collection,” or the plus icon in the top right corner. Let’s continue with the Dreamforce example and create a collection of the posts I saved from this year’s event. Type in the name of the collection and tap done. Once you do this, tap, “Add to Collection,” and select the photo we previously saved. Click, “Done,” to confirm. Now that we have the collection created, we can continue to add to it as we view and save posts. After searching more of the #Dreamforce2018 hashtag, I saw a photo of OwnBackup’s booth, with a description promising a free shot of Jameson for filling out its survey. Seeing this excellent example of corporate event planning, I definitely want to make sure I find that booth later. This time, when tapping the bookmark icon, a prompt to save to a collection slides up on the bottom of the photo. I tap this and a list of my collections appears. I can add this to my Dreamforce 2018 collection or create a new one. You’ve now learned how save a post and use collections on Instagram. There are a ton of possibilities for your account with these features! An easy way to save Instagram pictures is by taking a screenshot. Taking a screenshot is quick and puts the photo directly into your phone’s camera roll. However, it does this at the expense of full quality and can often include elements on the screen you don’t necessarily want to save. We have a great guide on how to take a screenshot, including how to screenshot for iPhone and how to screenshot for Android. If you’re saving photos from Instagram for official marketing purposes, I recommend downloading over screenshotting. We’ve completed the steps to saving a post using a screenshot or by using Instagram’s own tools, but let’s say you want to download a photo while maintaining a higher image quality. Imagine working at one of my favorite Chicago restaurants, Happy Camper, for this example. People are often posting to Instagram with photos from this trendy joint. 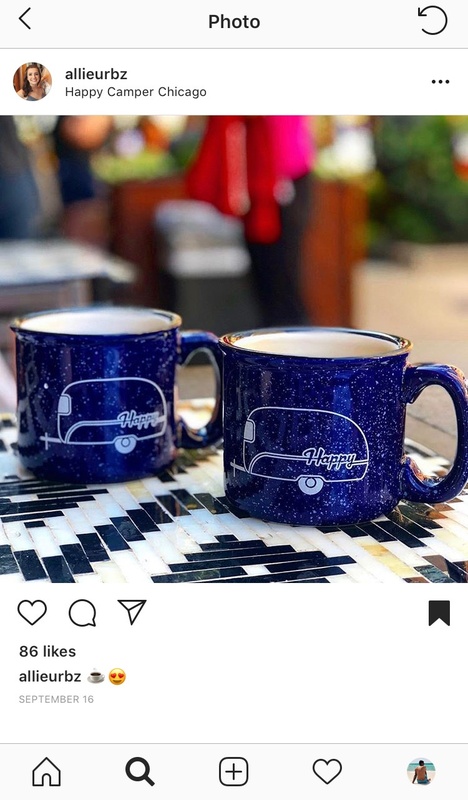 As a member of Happy Camper’s marketing team, you come across a customer photo that might be great to feature on the brand’s website. While simply taking a screenshot of the photo would be quick, that could also cause a loss in image quality. There is a simple way to download the photo in its full quality glory instead. Although you can use this method to download photos from Instagram, make sure to respect the original poster by ensuring you have permission to use the photo. In some cases, they may even directly send you the original photo. 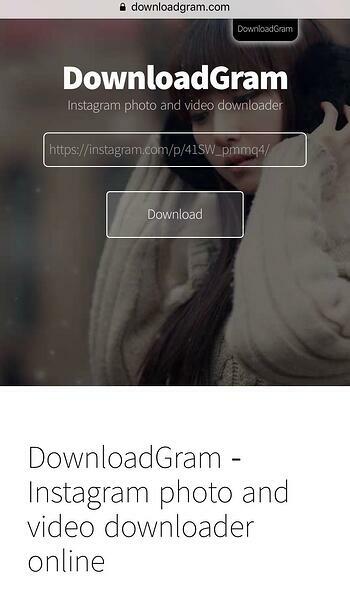 The easiest method I’ve found to download an Instagram photo is DownloadGram. This website makes it incredibly quick and safe to download a photo from Instagram to a phone or desktop. I’ll walk through these steps for mobile – the process is almost identical on a desktop computer. Through the Instagram app, find the photo you would like to download. In the top right of the photo, you’ll notice three horizontal dots. 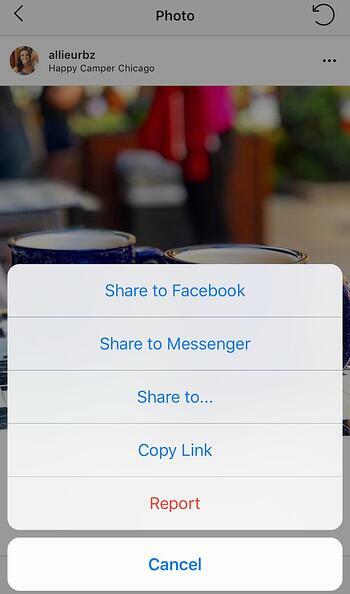 Tap these dots and then select, “Copy Link,” on the subsequent menu. After copying this link, switch to your phone’s internet browser and visit DownloadGram.com. Paste the copied link into the box in the center of the page and tap, “Download,” to begin downloading the photo. This will open a new tab containing only the image. On your phone, tap and hold the image to bring up a menu showing, “Save Image,” and, “Copy Image,” options. Choosing to save the image this way will add it to your device’s camera roll or gallery. This photo can now be used at your discretion. While I covered the best methods for saving Instagram photos, there are a number of others out there. The internet is constantly changing, so be sure to keep an eye out for new features or services that have an effect on this process. Instagram’s parent company, Facebook, has been trying to prohibit third-party services that allow for the downloading of content. 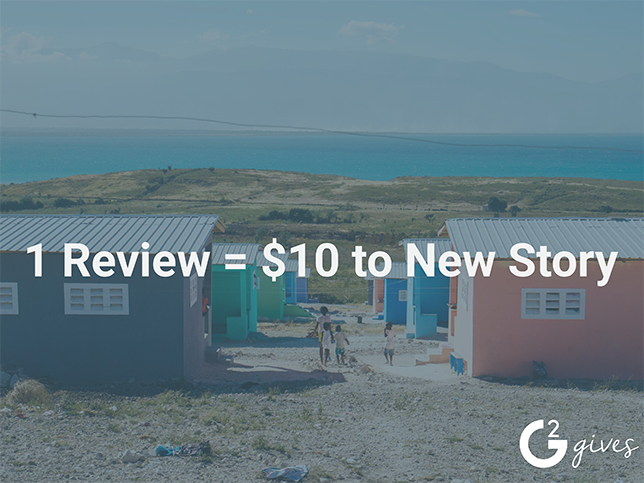 It’s important to note that some services will advertise the ability to save a photo, but may be scams or send you advertisements in order to generate revenue. Play it safe by using one of these approved methods instead, and keep yourself and your Instagram account safe from sketchy downloaders. Instagram’s native save feature is the best way to keep track of photos. If you want to download a photo for safekeeping, use a secure method, and be sure to get permission from the original poster if you intend to share it. Want to learn even more about Instagram? Check out our full guide to Instagram marketing!